We all know what a search engine is. But, what does optimization mean? Optimization is derived from optimal meaning “best possible.” Optimization is a process of becoming “best possible” page in terms of what a search engine sees in your site. That means adding using appropriate HTML markup for your pages so that a robot could understand what your page is about. Adding markup adds meaning to syntax much the same way that punctuation adds meaning to sentences. You want to make sure that both audiences, real people and search bots, can understand the meaning behind your words. Semantic markup (which is double redundant) is becoming another key element for rendering content in a meaningful way. 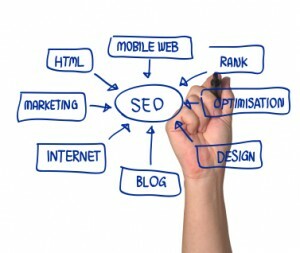 SEO is about presenting your content in the best possible way for search engines to crawl, indexed and return your website as a well placed result. Search is a zero sum game, you can’t win without making someone else lose and placement is everything. Increasing your ranking in Google for keywords can improve your traffic exponentially. The difference between ranking #1 on Google and ranking #2 on Google is almost 20% of the traffic on average. Second page of search results is getting the smallest sliver of the initial search, less than 1% of searchers. If you are getting customers there, they deserve your thanks for being so dedicated in finding you.